I'm not the one to post motor news. I was never taken with cars. To me they are just a way to get from A to B faster. I could care less for horse powers, turbos, and hood ornaments. 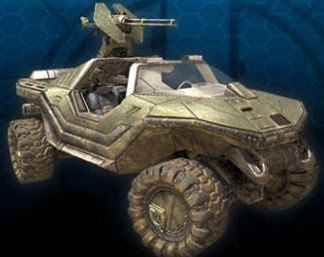 Am I the only one seeing the similarities, or have the Chrysler designers came up with this design during an evening of hot, hard multiplayer action? PS: as far as I know, Chrysler does not offer a Gatling gun as an option with the Renegade. But who knows? if enough people ask for it... Could be a great way to clear a traffic jam . 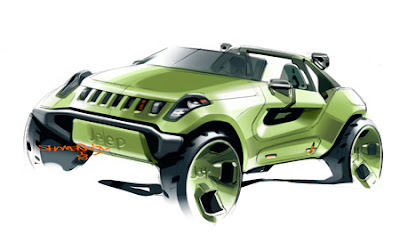 "PS: as far as I know, Chrysler does not offer a Gatling gun as an option with the Renegade. But who knows? if enough people ask for it... Could be a great way to clear a traffic jam." And go to jail... I think the Chrysler CEO plays halo to much with his designers...oh well.